For my birthday I wanted Superking to take me out to dinner so we picked a great little local gem we've been to before...Mokomandy's! 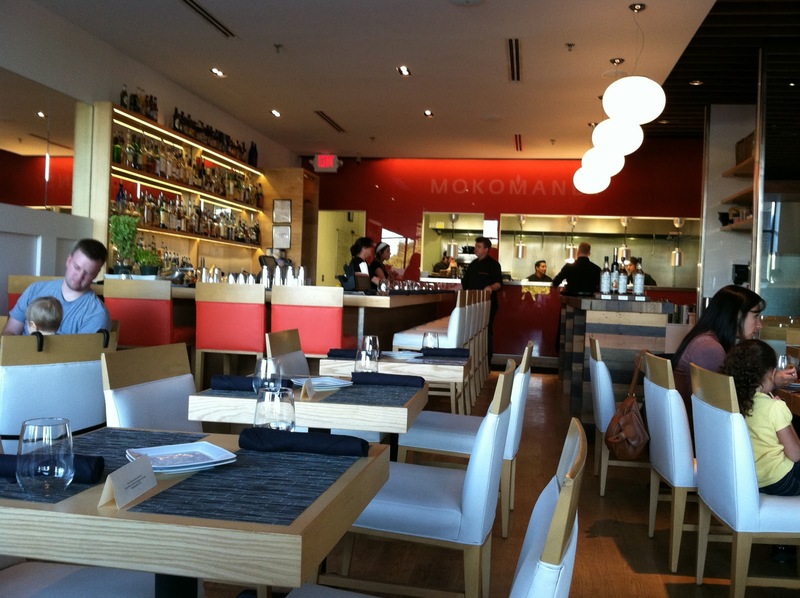 Mokomandy's is a modern Korean Cajun experience. And small plates are our friends!! 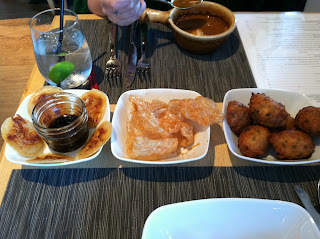 We decided to try a bunch of stuff we didn't get to have on our first visit there. kimchi pancakes...completely awesome! I could've kept eating those all night, especially with the sauce it came with. 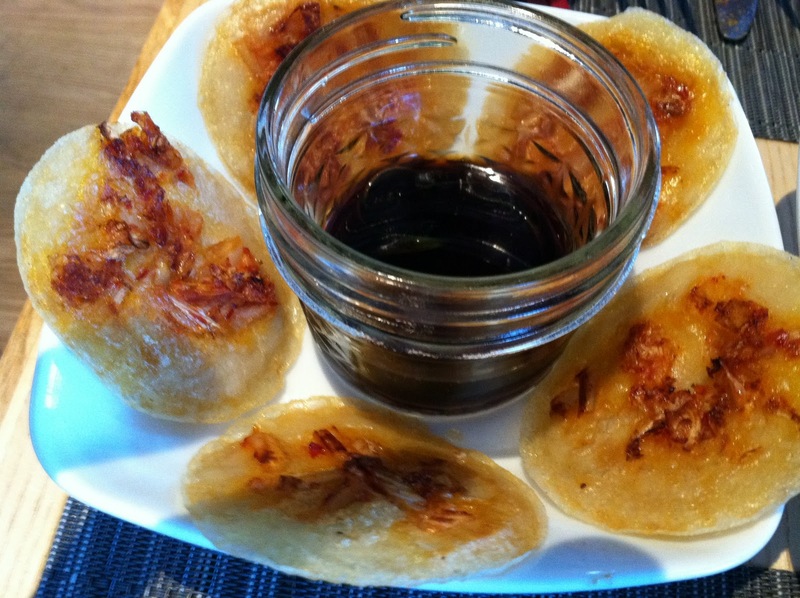 It was something kind of like soy sauce but with a sweet and sour flavor added in. Super yumm! And the little canning-type jar it came in...is that not adorable?! cracklins...fried pieces of pork fat or pork skin, like pork rinds but better. 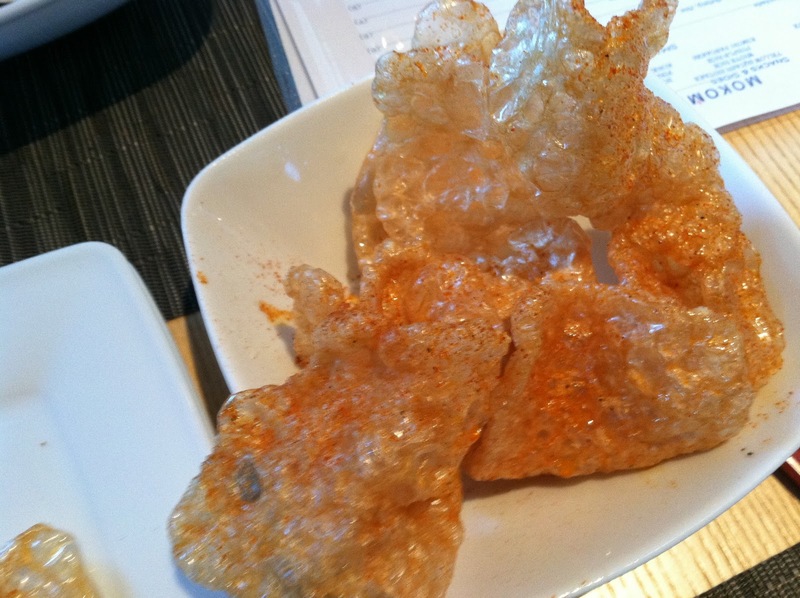 They fry them up fresh too right before serving.Super crispy with a bit of spicy cajun seasoning on them. 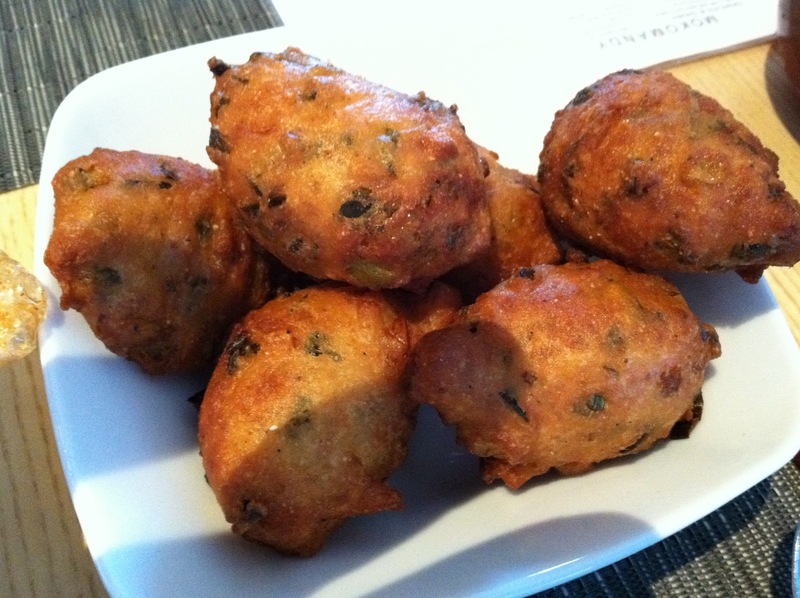 jalapeno hush puppies...slightly crispy on the outside, soft on the inside with just a small bite of heat from the jalapenos. Even a spice wimp like me can handle the heat on these. A great little snack to start the meal! 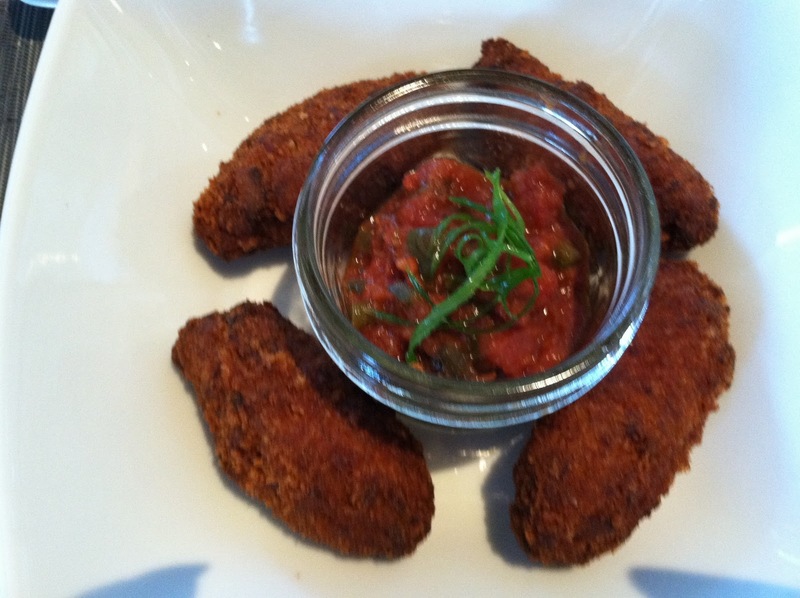 Then for the actual small plates, I ordered Gator Croquettes. We wanted to order these last time but another table had ordered the last ones right before we did. These little tasty gators were made with their very own house-made bacon and bechamel (a French sauce made with milk, flour, and butter) and served with a salsa piquante (again in a cute little jar). This salsa was very tomatoey and definitely had a kick. The gator croquettes were crispy and yes, it did taste a bit like chicken. Superking ordered the Seafood Gumbo. 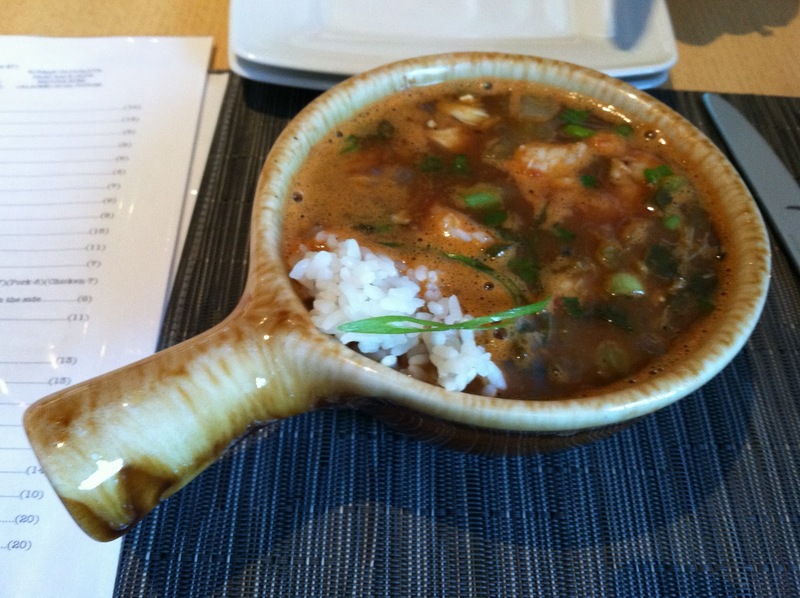 It was served in a beautiful clay-pot-type bowl that looked almost hand-made with the handle on one side. It was warm and comforting and full of crab meat and oysters and shrimp and rice with a little spice thrown in. After all that, we had just enough room left to split one medium plate of mussels. This is one of Superking's favorite dishes. 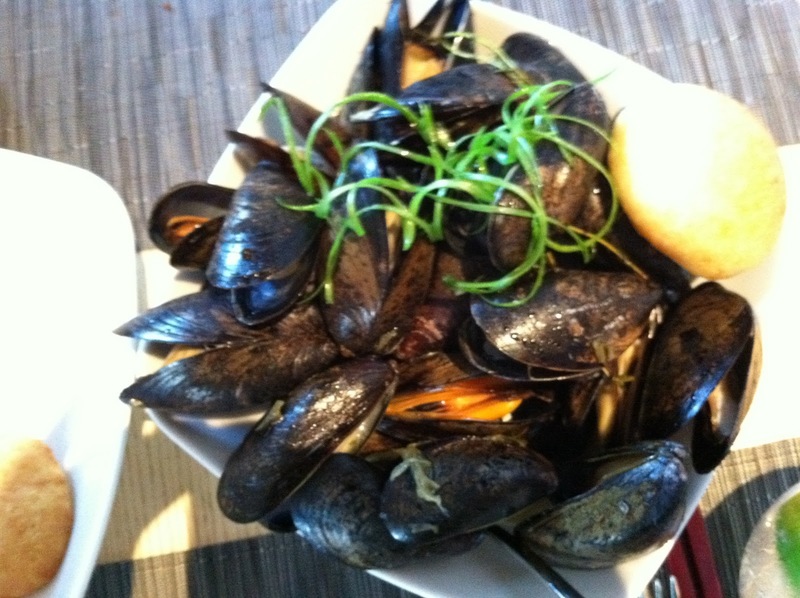 If we go to restaurant that serves mussels, he's most likely going to order them. 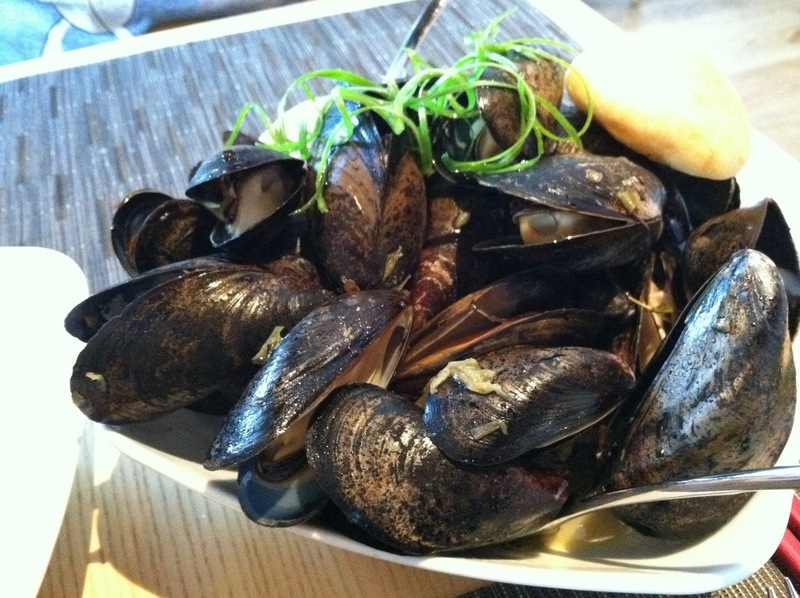 These were Prince Edward Island mussels swimming in pecan smoked cayenne butter...wow, I could just stop right there and be happy! But it also had thyme, lemon, garlic, and was served with these amazing little brioche buns that were slightly sweet. And something else I could've eaten all night. In fact, we did order extra of those to slop up the juice under the mussels. Unique modern relaxing atmosphere and amazing food you won't find anywhere else! Another fantastic meal at Mokomandys!